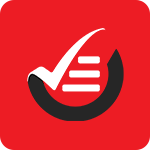 I have successfully created my account on Zip Checklist, I don't find any option to add tasks..., please guide me to add tasks in my checklist. To add tasks to checklist, log into your Hubworks account and select the settings tile. Then select app settings, and select the Zip Checklist Icon. You will then see several tabs first click on the Category Settings tab and create the category, back out to the App settings once the category has been completed. Select the Checklist Settings next and you will be able to add Tasks to your Checklist. The Checklist list will only appear if the Checklist is assigned to a category, which will all be done in the Checklist Settings. How can i add a new checklist for my organization ? How can we add a checklist that needs to be completed twice in a day ?